During her senior year of college, she was a residential assistant. She quickly fell in love with advising and mentoring those younger than her on career choices and life decisions. In 2001, the dotcom company she worked for went out of business. Her former employer handed her her laptop and said “Go start a business, you can do this on your own,” one of the best moments of her life. Ten years later, she has her own successful business helping those in the place she first discovered her passion: college. 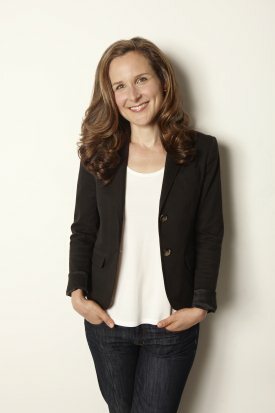 Meet Lindsey Pollak, a bestselling author, corporate consultant, keynote speaker and expert on all things Generation Y (not to mention she’s the Global Spokesperson for LinkedIn). Pollak’s expertise has appeared in prominent media outlets including The New York Times, The Wall Street Journal, CNN, and NPR. Her book, Getting from College to Career: Your Essential Guide to Succeeding in the Real World, offers advice and tips to students pursuing employment after college. Unsure of how to begin searching for a job? Do you understand how to evaluate a compensation package? Or how to make the most of your paycheck? Pollak can help with that. She also works with companies to understand how to attract, retain and engage Millennial talent. Her latest venture is teaming up with The Hartford on the My Tomorrow campaign to create an ‘adult playbook.’ Pollak’s book was about how to get the job and all the tactics, tips and details of how to land a position; the new campaign details what to do once you have the job. On Wed. Oct. 3, Recruiter.com interviewed Pollak where she offered advice and suggestions on everything from determining the right position to asking for a raise. Check out the interview below as her background, knowledge and insight are sure to benefit not only students, but anyone soon to enter the workforce. 1. Why did you decide to write your book? When I graduated from college I knew a little bit about what I wanted to do, but I didn’t feel like there was one resource available that told me everything I needed to know; you had to go to a lot of sources. I think my goal with the book was really to fill what I thought was a gap in the marketplace of really specific tips. My book has 90 tips with lots of check-off lists, and bullet-pointed lists and really everything I could possibly think of that a young person should know about getting from college to career. That’s always been kind of my goal: People don’t just think about the big picture, which is of course very important, but they also think about all of those tactical details and I try to be a guide for young people through those issues. 2. What is the most important step for students to get from college to their careers? If I could only choose one thing, and this is pretty broad, I would say it’s taking action. I find that the biggest mistake that a lot of young people make is that they try to think really hard what they want to do and then figure it out in their mind. And I think the reality is you have to try a lot of things. So taking lots of different classes, trying internships, part-time jobs, really getting yourself out there volunteering and so forth to try anything you can, start as early as you possibly can. And then throughout your career make decisions based on what you’re enjoying and what you want to do next. I don’t think you can necessarily chart out every job for your career, but each job leads you to that next position. So action, action. action. Also, through that action you meet people and those are the people who become your network who lead to opportunities in the future as well. 3. How can recent graduates entering the workforce determine the right jobs for them? It’s really about trying lots of different opportunities and thinking about what you want in the future, but what’s really going to make you happy today and not being afraid to try something that maybe you didn’t major in in college or you don’t feel prepared for. If you really have an interest or a passion in it, that could be the right choice for you. 4. How concerned should grads be about starting or entry-level salaries? I think salary is a really important part of working, but you have to take time to figure out what salary and compensation overall is important to you. Based on your situation, what is the rent going to be in the city or town you want to live in? What kind of student loans do you have? What kind of expenses do you have? What are your goals for the future? You want to think about all that in your salary decisions. Think about your entire compensation package, which is not just the money in your paycheck, but it’s also the benefits that you receive from your employer. We did a research project and found that most Millennials don’t understand life insurance or disability insurance and the kinds of protection those can provide for a young person. Your ability to work is your greatest asset as a young person or a person, so you want to protect that. Don’t just think about your salary as a paycheck, but protecting that paycheck today, and, of course, for your future. I really encourage Millennials to think beyond the dollars, although, of course, that’s really important, but the whole pay package is really what’s going to affect your lifestyle the most. 5. How do you negotiate a salary? Like anything else, salary negotiation is a skill and it’s something that you can study and learn and practice and get really good at. First you want to do your background research. Figure out what are the salary ranges that are realistic for the job you want. You don’t want to be wildly outside that range or the person won’t take you seriously. Talk to your career services office. Websites like Vault.com can give you a lot of information about general ranges in your industry and region of the country. So go in with that information and then practice how you’re going to negotiate. Think about all the things that your boss or the HR person might say to get you a lower salary and how you’re going to react to those. Think beyond money. Think about other benefits that you might want like flexible hours, a little bit more vacation time, the ability to work remotely. Anything that would be valuable to you that’s not just salary can be part of the conversation. But above all, practice this conversation with a friend, with a family member. Know how to say those numbers out loud and how you’re going to respond to any questions or challenges that your employer gives you in that situation. It’s really a skill; practice and build that muscle. 6. What benefits or compensation packages should grads look out for? Should they be wary of positions that don’t offer any benefits? I wouldn’t be too concerned if an employer doesn’t offer a lot of these benefits; a lot of smaller companies simply can’t afford to. What’s really important, above all, is that you find out what an employer does offer and educate yourself on what benefits you can get from the company that you’re working for and what you might need to look for on your own. So think about health insurance, life insurance, disability insurance, any kind of compensation or loan forgiveness or help repaying any college debt that you have. Any education benefits that somebody might give so you can take classes towards a degree or not. Any kind of health benefits like being able to join a health club, any kind of flexible package you can use, flexible spending account. What might be necessary based on your lifestyle today and into the future? If it’s a bigger company they should talk about it on their website. If it’s a smaller company, you may need to ask those questions. 7. Do you have any advice for graduates who pursue an untraditional route (freelancers, independent contractors, entrepreneurs)? I think you’re picking up on a really big trend of your generation partly because of the economy, and partly because I think Millennials want to pursue their dreams right away without paying their dues. I think if it’s your reality and those are the kinds of jobs you can get right out of college, go for it. I think if you have the entrepreneurial bug it’s a great thing to do. But again, you have to think about planning your finances for that decision that you’re making. How are you going to make ends meet? How are you going to protect your future? How are you going to plan for tomorrow? So, even if that’s your reality you still have to think in terms of the whole picture. 8. Is there a good length of time to stay in your first position? A lot of these rules have changed. The traditional answer was that you really want to stay in your first job or any job for at least one year, that that would look best on a resume. But my personal feeling is that if you’re absolutely miserable then it’s okay to leave a position. A year is great, but I think one of the negative characteristics of Millenials is they tend to jump around a lot and try a lot of different things. But if you’re really happy in a position you can differentiate yourself by staying a long time. Moving up the ladder, showing your commitment that you’re loyal to that company it could really be a very big differentiator. 9. What are some of the most common mistakes graduates make when trying to enter the workforce? 1) Not taking a job soon enough; holding out too long for the perfect opportunity. I think taking action and starting your career is really important. 2) Not giving it a little bit of time to get settled. Making sure you learn the ropes and not worrying that you’re not moving forward quickly enough. Give yourself some time; have a little patience. 3) And then finally, not understanding all the benefits that are offered. Thinking about that entire compensation package is another way to really set yourself up for success in a new job. 10. What ways can Millennials save money? On our website we have an infographic and it says, “you only live once, so plan for the future.” I think it’s about making small changes today but thinking about the big picture tomorrow. Look at your credit cards; are any of them charging an annual fee that you really don’t need to pay? Can you change that? Can you look at your cable bill and cut corners there? Can you shop at different stores where the groceries cost less? Make those small changes today but think about your long term plans and just start putting away a little bit every month towards those plans. I love automatic debit from your account so that you don’t even see the money. Commit to whenever you get a check, like a birthday check from your grandmother or any kind of unplanned-for-money, put that money into that account. And it’s really gratifying to see it grow. So save money today, but setup a system where you’re slowly putting away money month-by-month. The earlier the better.